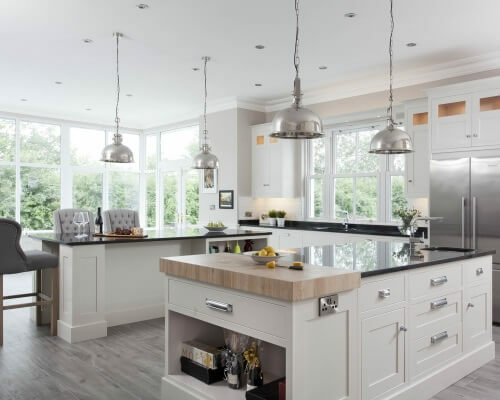 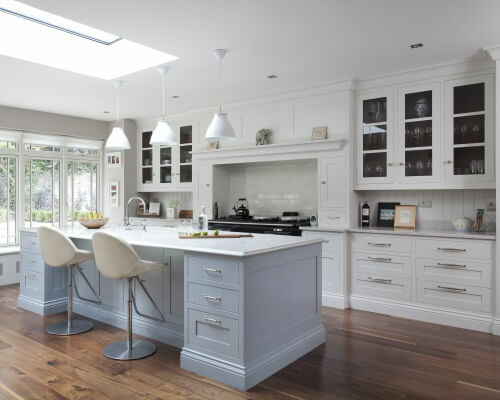 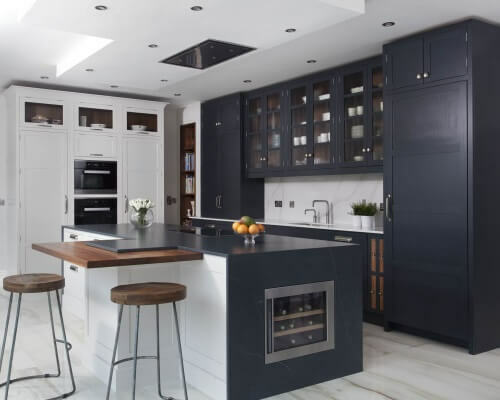 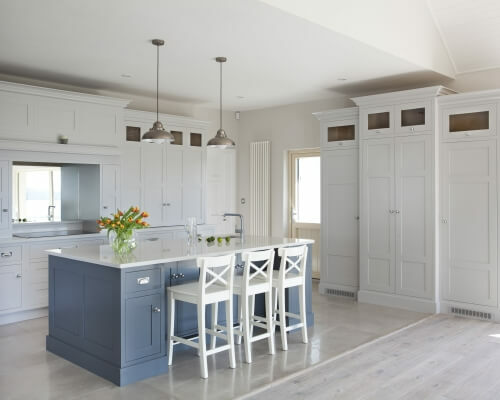 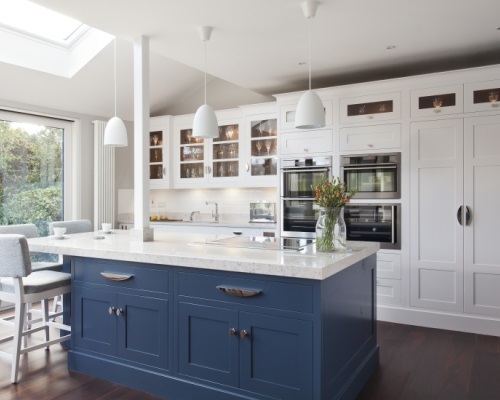 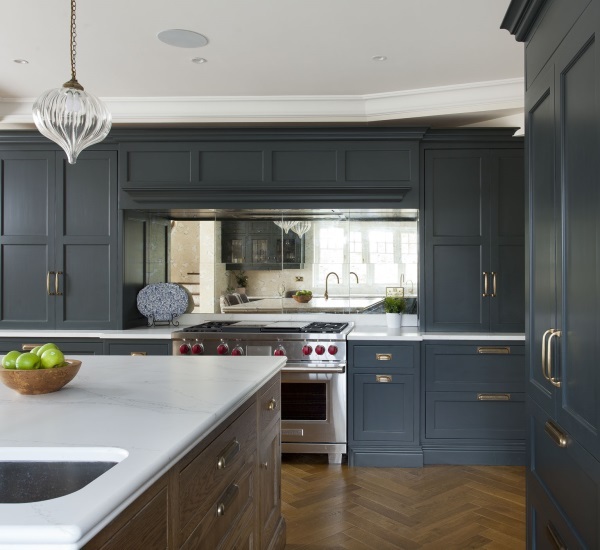 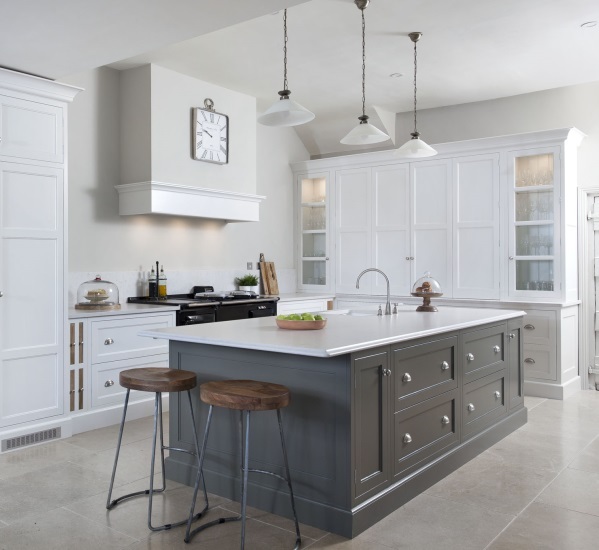 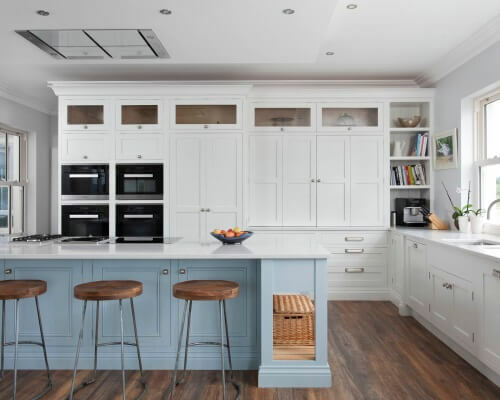 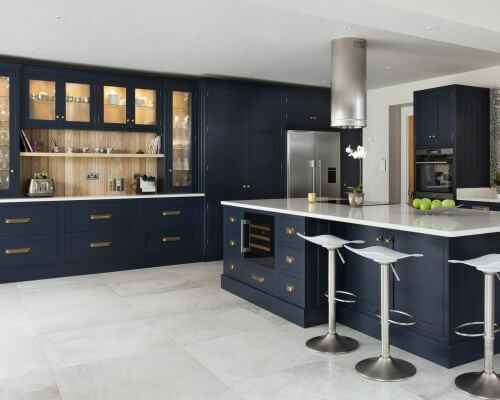 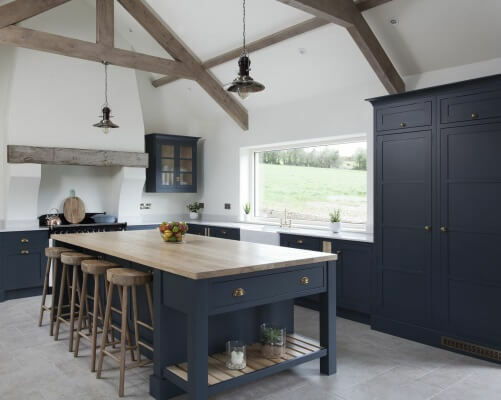 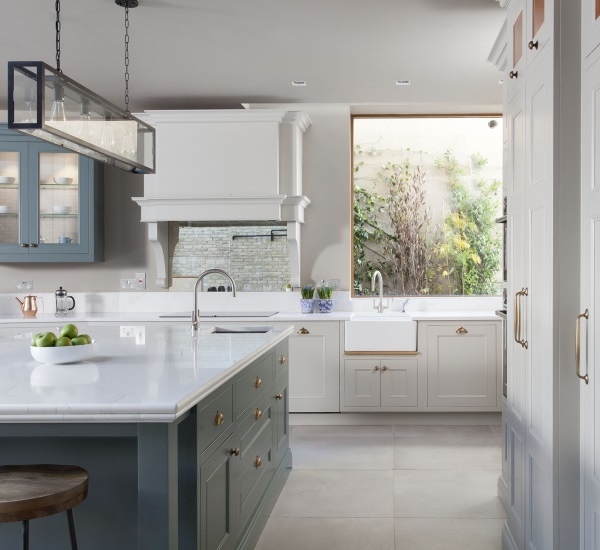 This kitchen was designed to sit comfortably in this large period house. 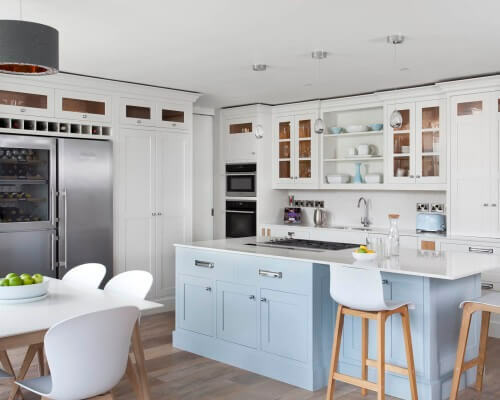 The large proportions of the room allowed us to create substantial pieces of furniture which are in perfect scale to the room. 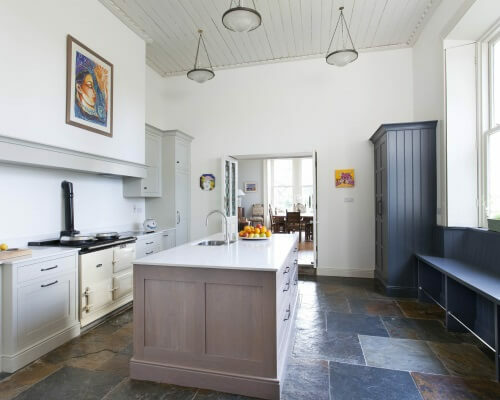 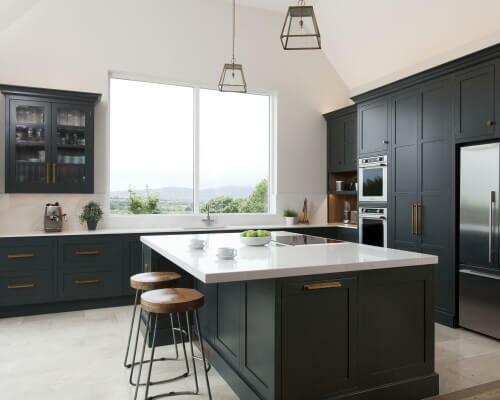 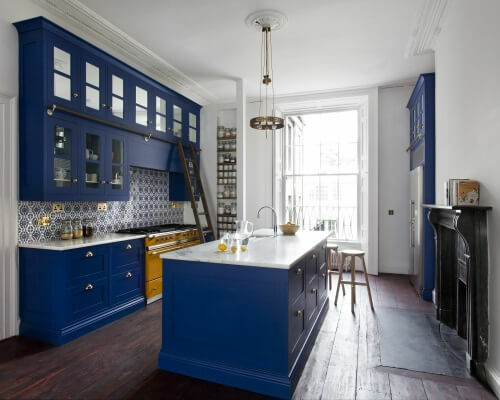 The main cabinets are painted in Slaked Lime by Little Green with Hornblende by Paint and Paper Library on the island.